ASL Industries is engaged in the business of manufacturing of forged products and press shop for sheet metal products. Its products have varied applications and are used in various industries like railway, defense, and automobile. Its existing unit has a machine shop for the rough & finish machining of components, heat treatment facilities, in-house die making facilities, CNC & VMC horizontal and vertical centres, light, medium & heavy fabrication, assembly and sheet metal press shop. The company provides one stop solution from metal forming to assembly under one roof along with logistics and just-in-time solutions. Its flexible manufacturing infrastructure enables it to extend the product range and change product mix as per customer demand and requirement. 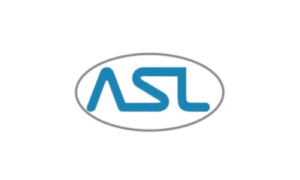 ASL Industries’ existing manufacturing unit is located at Jamshedpur, Jharkhand. The company has in house machine facilities in order to serve a flawless range of products. The company is ISO 14001: 2015 and has obtained OHSAS 18001:2007 certifications for adhering to global standards in occupational health and safety management. It is also certified by Bureau Veritas Certification for ISO/TS 16949:2009 for pressed, fabricated, machined and assembled components from sheet metals and forgings. Its client base includes manufacturers like TATA Motors, Bridge & Roof Co India Ltd., Titagarh Wagons Ltd.
ASL Industries IPO allotment status is now available on Karvy Computershare’s website. Click on this link to get allotment status. You can also check allotment status using application number on this link.